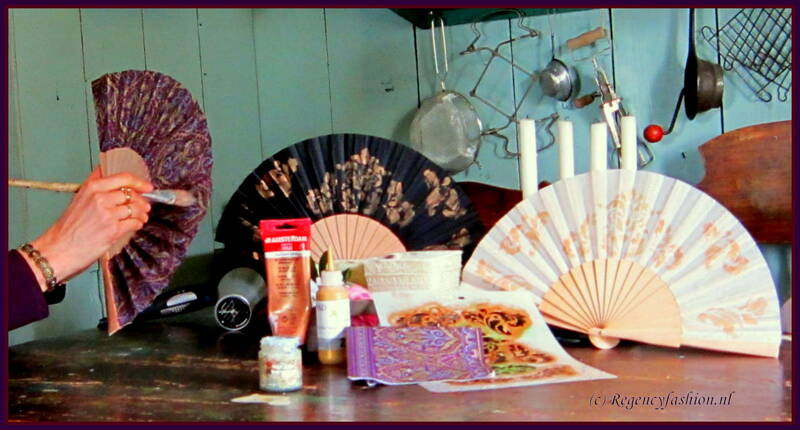 Make your Regency outfit complete with your own Fan or Parasol. Make your own during a workshop or order one. Decorated Parasols & Fans with decoupage or hand-painted with gold paint or flowers. Order costs (excl. postage) Fan plain cotton 8.-, Sandelwood fan € 9.-, decorated fan €16.-. 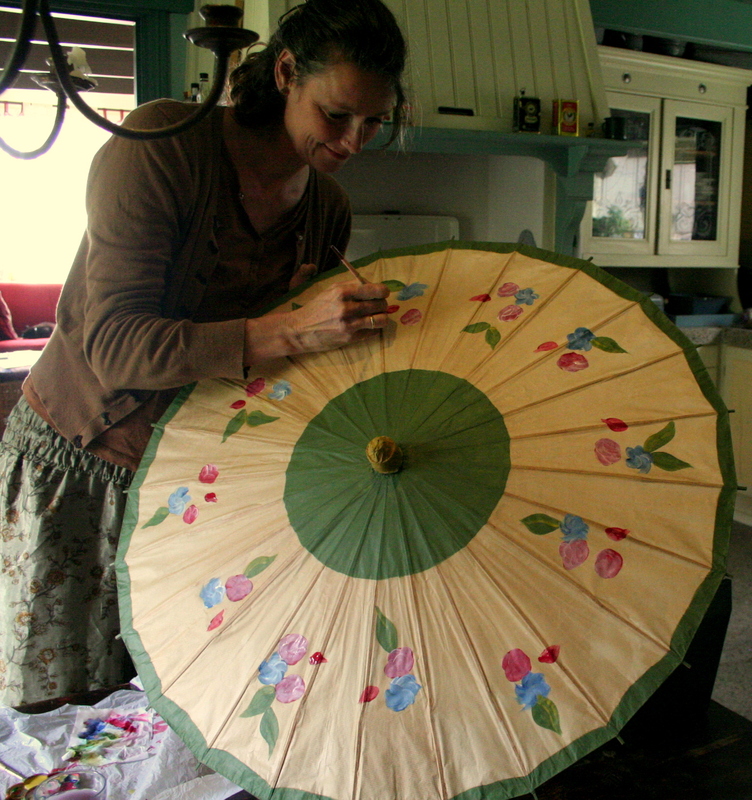 Parasol plain €9.-, handpainted € 19.-, with decoupage € 24.-. 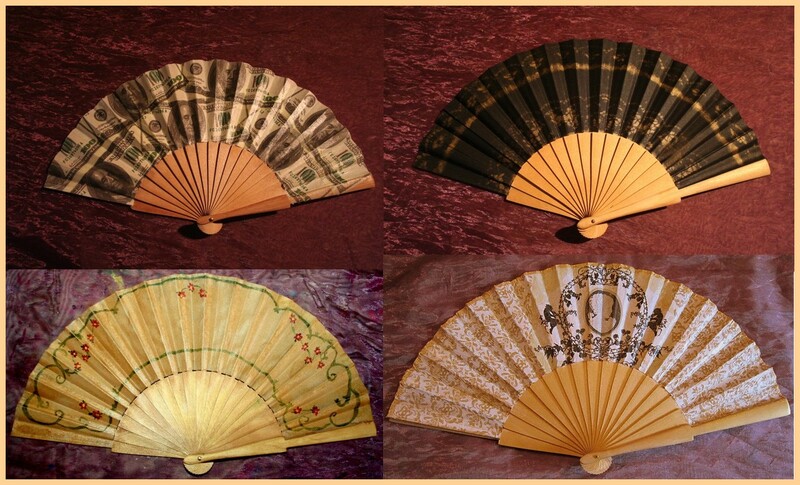 Workshop costs: Fan € 19.-. 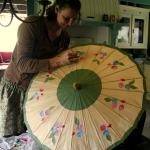 Parasol € 29.-, decorating with decoupage € 36.-. More info see workshops. Let us know which colour you want to use when you register, costs € 5,-p.p. (deducted from the workshopcosts). For questions or ordering send an e-mail.